This uncharacteristically large dune hillside lot is located within a short walk to the Pacific Ocean. Its multi-faceted construction began with intense site work and retained terraces that navigate over 30 feet of elevation gain at its rear. 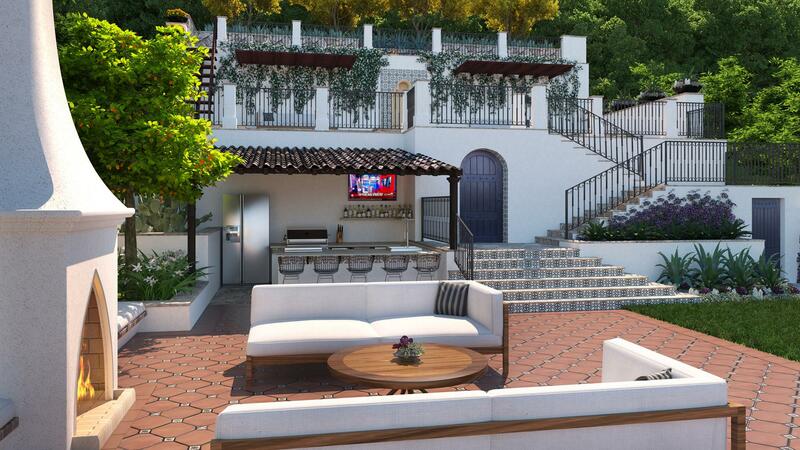 The Santa Barbara Colonial style house and garden are intended to elegantly, yet playfully, match the entertaining interests of these Clients. Its highest level, the orchard, is accessed via ladder constructed of tree boughs, which match the adjacent trellis construction. 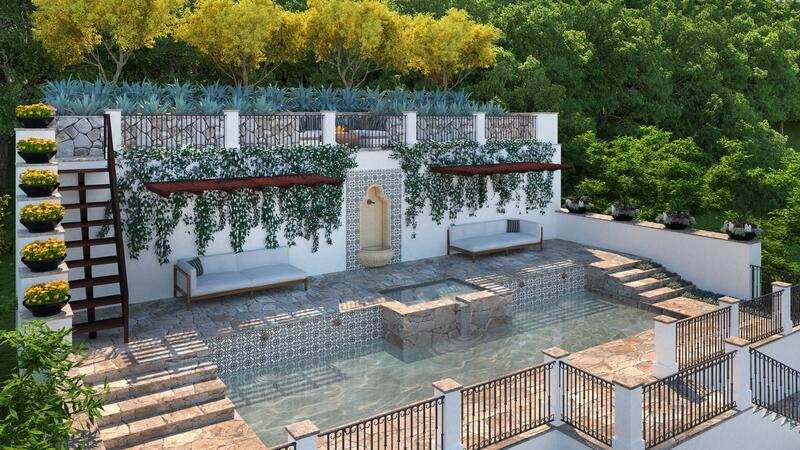 Pool level hosts a sublime salt swimming pool and spa articulated by Santa Barbara rubble walls and Spanish tiles. 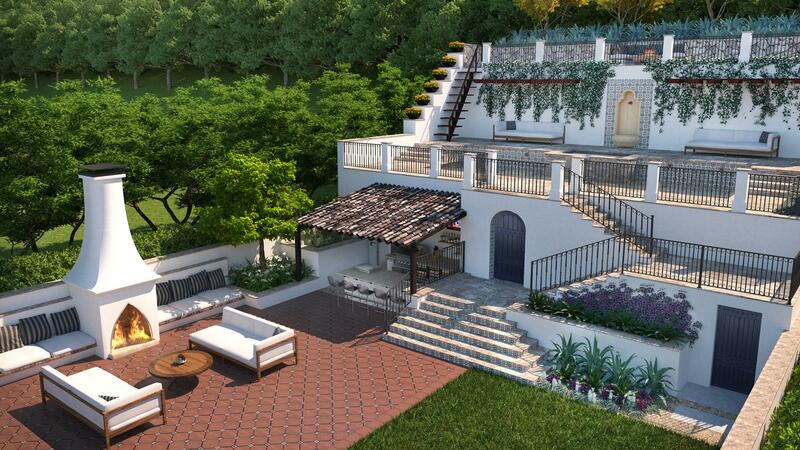 The Cantina level and stairway are richly defined by materials that harken to an early California Spanish vernacular. Tucked under the pool terrace is a bathroom, located ever so close to the margarita machine!